Hello. 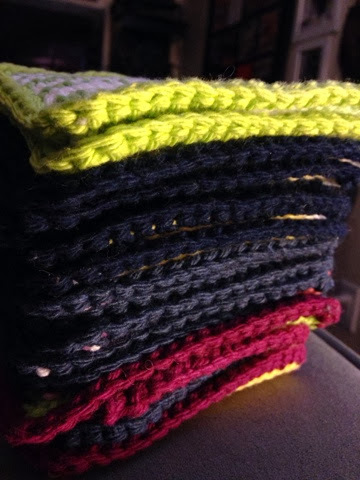 My name is Paula and I am a dish cloth addict. Seriously. I don't know what's gotten in to me. 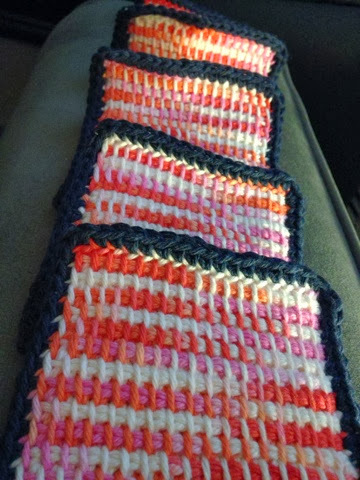 For the past 2 weeks I have been obsessed with making small dish cloths using Tunisian crochet. 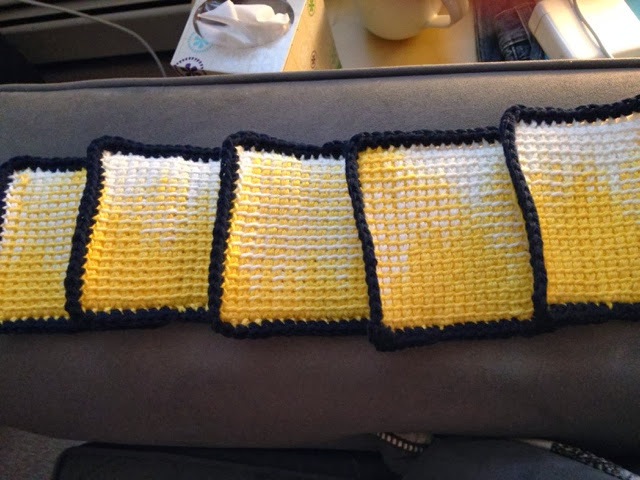 I love the texture that Tunisian crochet creates. One side is smooth while the other is rough and bumpy. I intend to use these cloths for washing my dishes so I made them fairly small. I have tiny hands and larger cloths flop around to much. I like when they fit in the palm of my hand. I certainly had plenty of cotton yarn to choose from already but I'm not excited by the colors. I have a very bright and colorful kitchen so I wanted something that would compliment that. I took a fast trip to A.C. Moore and picked up some fun multi colors of Sugar n' Cream. I used what I owned already to do a single crochet border. Each ball made 5 cloths. 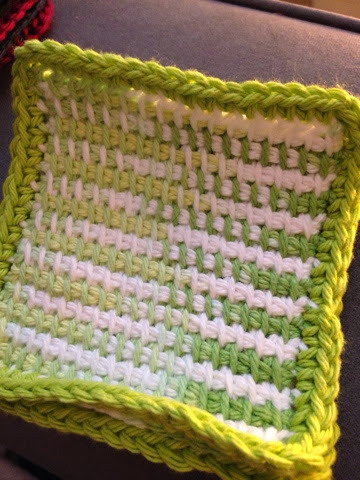 I think Tunisian crochet might be perfect for making sturdy baskets too. This was definitely a nice break from the never-ending Chevron Shawl. Sometimes you have to mix things up! I still have more cotton left so I'm not done with this craze yet. Of course, minutes ago my niece asked to go to the craft store. Let's see how much cotton I'll buy now!